I am super excited to show you some photos that I just received from Rose Lefebvre. 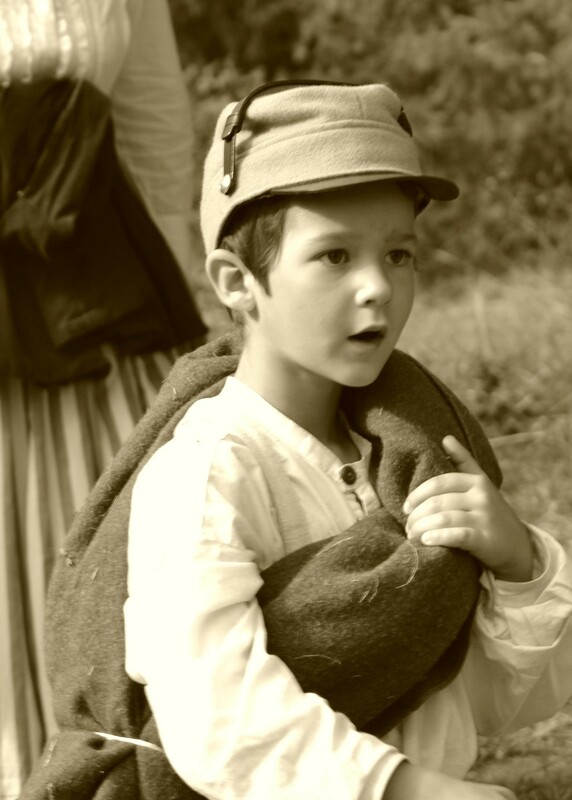 She was at the same Civil War Reenactment as I was last year and took some phenomenal photographs! A friend of mine came across her blog and saw that we were in it and shared the link with me! Long story short, Rose was sweet enough to send me the photos that my nephew, friends, hubby and I were in! You must go check her out at Poet Rose 24! Can I just gush about how handsome my honey looks? I wish he would dress like this all the time, I just love it! I simply loved my outfit for the day! I did chicken out and forgo the hoop skirt to make the drive there easier. 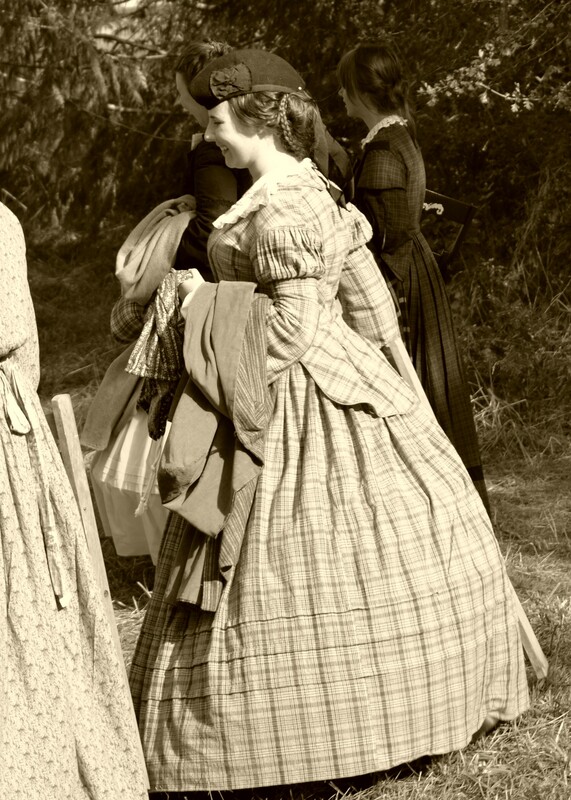 This time period is one of my favorites, even though there were at least four layers under that heavy skirt! I would wear this outfit again in a heartbeat! 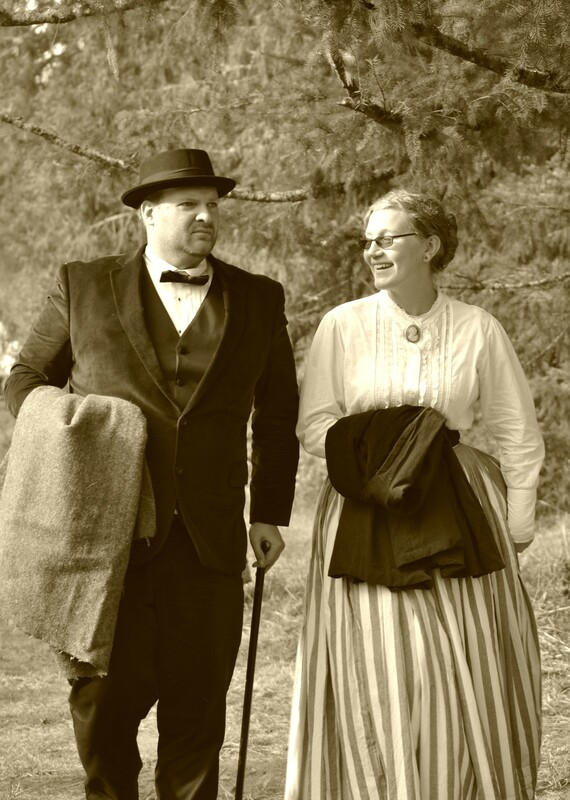 My friends (who regularly take part in civil war reenactments) loaned me the outfit. such dears! Adorable nephew. 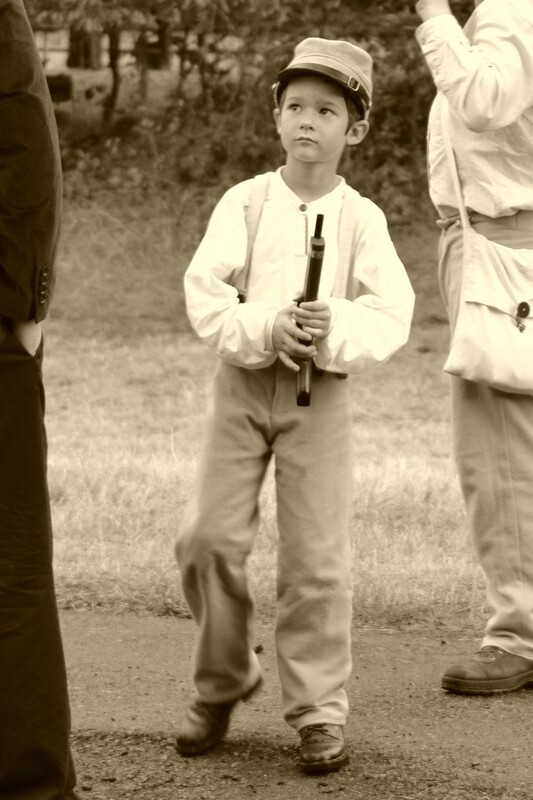 He is in his element at these reenactments! a dear friend! Love that dress and hat! Well, I hope you enjoyed these photos. And please please, go check out Rose’s blog! If you want to see more photos of our time at the reenactment, let me know! I’d love to share them, actually I might share them whether you want me to or not. hehe. It was so much fun and I hope we get to go again! Happy weekend and Shabbat Shirah! I was so glad to share my photos. I have over 200 of them! I love them – i am going to go through all mine again!! Very cool! 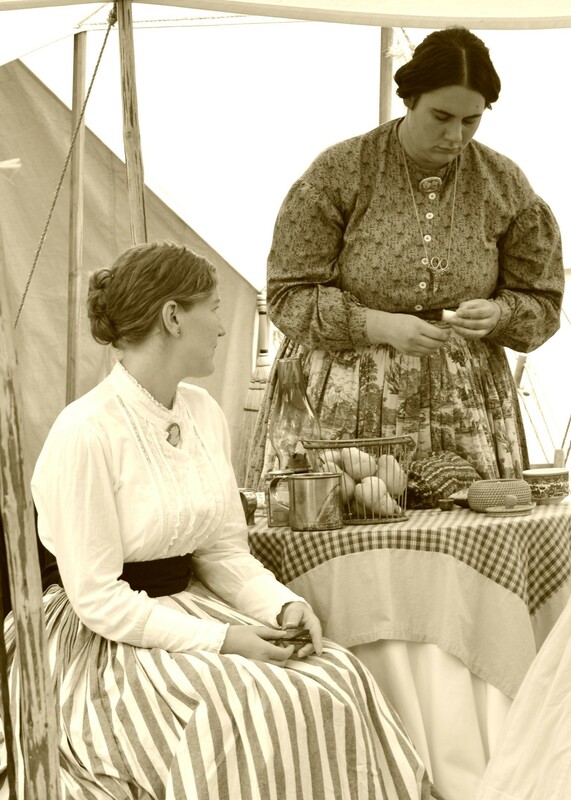 I always thought it would be so much fun to do a Civil War reenactment. it was!!! if you get the chance, do it!!! =) i loved the bit that i was a part of it! That was such a good time! I like the “supervising” comment! 🙂 You should post your photos too!